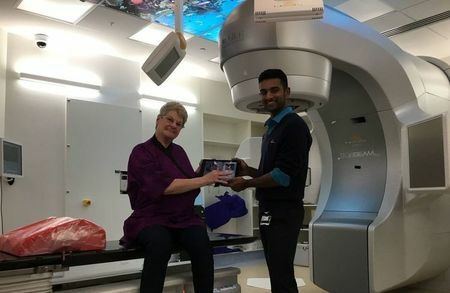 Thanks to funds raised by Dry July, The Crown Princess Mary Cancer Centre Westmead have been able to purchase iPads for their radiation treatment rooms, to entertain and distract patients during treatment. During radiation treatment, patients are alone in the room for treatment whilst therapists control treatment from outside. 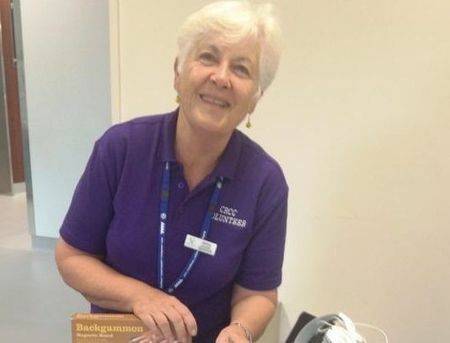 The iPads mean that patients can select their own music to help make the treatment space for comfortable, and is more calming than the quiet, clinical environment usually found in radiotherapy bunkers. The music has helped patients reduce anxiety and take their mind off the daily treatment, making them more relaxed. Cancer Council Queensland’s Introduction to mindfulness Workshop is an interactive, skills based workshop that has been designed to support people who are facing cancer related challenges. In this half day program, participants learn more about what mindfulness is, and are introduced to mindfulness skills that can help them to be more present in their lives and spend less time worrying about the past or the future. Which aspects of the workshop did you find most helpful? "Exercises, meditation and discussing issues with other people in the group. " "I found it all helpful. " "How to help myself unwind. " 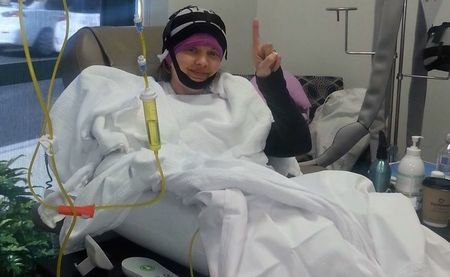 Doctors have told Monique Bareham that she is cancer-free. But she’ll never really be free of cancer. Like so many cancer survivors, the effects of the disease and the years of treatment continue to impact her each day – physically, mentally, financially and on employment and relationships. At 36, Monique led a busy life, was dedicated to her career, and had plans for a family. But Monique says it all came to a “grinding halt” when she found a lump in her breast. “The days went from being normal to being aboard the cancer train,” Monique, now 45, says. There were multiple surgeries, chemotherapy, radiotherapy, and courses of hormone and other drug therapies. 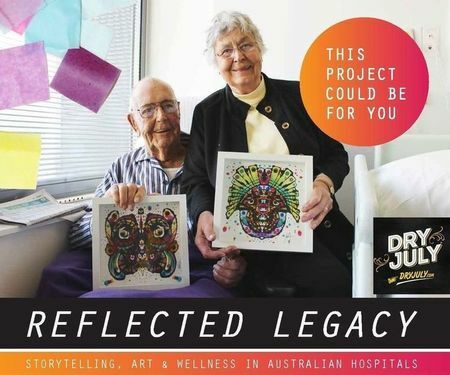 Reflected legacy is a groundbreaking arts and health program at Liverpool Hospital. Led by visual artist Flutter Lyon, this project compliments the holistic care of cancer patients in palliative care, while enhancing and changing the physical environment for patients, families and staff on the ward. When we tell our stories, it gives us a way of sharing and reflecting upon the life we are living, free expression and story telling offers a deepened sense of connection to the value and meaning of our individual and shared life experiences. This year Tonya celebrates 30 years since she was first treated for breast cancer at Westmead in 1987. She was diagnosed with another breast cancer in 2014 and is still going strong. 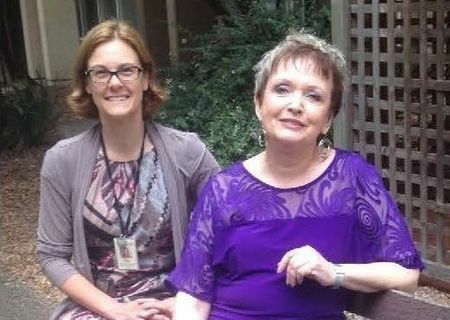 Roberta has been a long term patient at the Canberra Hospital and the Canberra Region Cancer Centre. 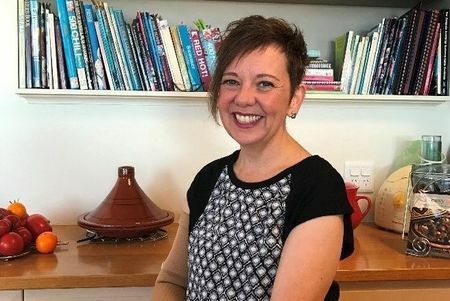 It was a second cancer diagnosis 11 year years ago of Non Hodgkins Lymphoma just after coming to Canberra to live, which has resulted in her receiving ongoing treatment this whole time. After extensive chemotherapy and then a stem cell transplant, Roberta’s immune system was compromised which means she comes into the centre every month to receive maintenance treatment. John Brown is one of the early patients of the North West Cancer Centre, located in Burnie Tasmania which opened officially in May 2016. 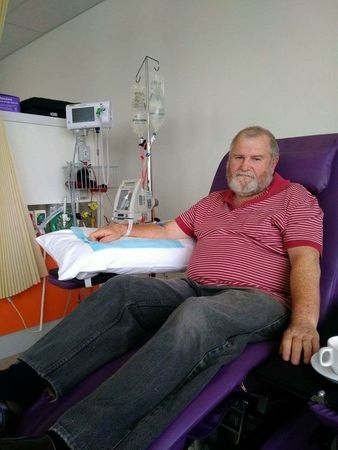 Living in Sheffield, Tasmania, John travelled some distance to access and receive chemotherapy and radiation treatment – about 130 kilometres each day. His wife who often accompanied John to his treatment waited many hours supporting her husband. Choices Cancer Support program is pleased to announce we are included as a new beneficiary for the Dry July campaign. 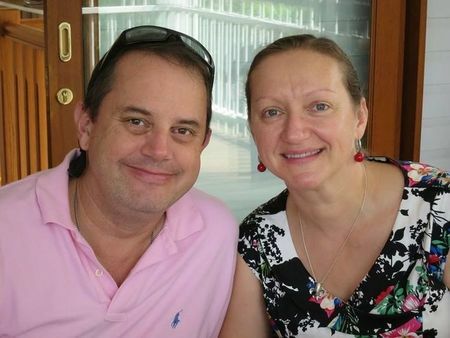 Below is Pauline’s story which demonstrates the integrated programs of Choices and the ways it supports Queenslanders facing cancer. Why choose the Wesley’s Choices Cancer Support Centre?